Jaguar and Land Rover are both winners in the 2014 BusinessCar Awards, announced today. For the Jaguar XF it is a remarkable third successive Executive Car of the Year title, reinforcing its excellent reputation among fleet operators and business motorists, the people whose informed opinions decide the annual awards. Paul Barker, BusinessCar Editor, said: “The Jaguar XF is a car that’s constantly evolving to become more and more relevant to the fleet community, and that’s reflected in its hat-trick of BusinessCar Executive Car of the Year awards. Jaguar has continued to develop the model’s strengths and the breadth of customer choice since its launch. This is underscored by the introduction of the XF Sportbrake and the engineering of powertrains that deliver lower emissions, which in turn attract highly competitive tax ratings for business customers. This quality is defined by the XF 2.2d, which delivers 163PS yet just 129g/km of CO2 and official combined cycle fuel economy of more than 57.7mpg. The Range Rover Sport has secured the Large 4x4 of the Year award towards the end of what has been a remarkable first six months on sale for this second-generation model. Paul Barker remarked: “The Range Rover Sport has stepped up to become BusinessCar’s Large 4x4 of the Year for the first time and its impressive quality, driving experience and prestige are all factors in the car’s success. Both the 258PS and 292PS versions of the 3.0-litre TDV6 engine give the Range Rover Sport CO2 emissions below this threshold, performance that is supported by Land Rover’s successful deployment of its new Premium Lightweight Architecture for the vehicle’s all-aluminium construction. Even greater efficiency is about to be achieved with the initial customer deliveries of Land Rover’s first hybrid power models. The new technology, using the 3.0 litre SDV6 diesel engine coupled with an electric motor, gives the new Range Rover Sport Hybrid exceptional performance with CO2 emissions of just 169g/km and (combined cycle) 44.1mpg fuel economy. 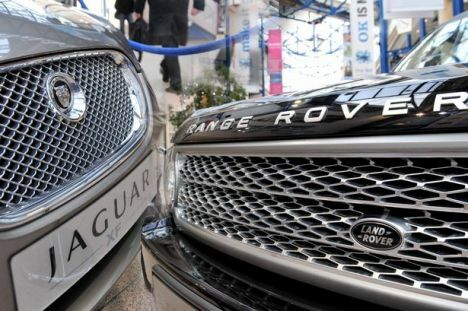 UK car manufacturing hits six year high! Now the London Taxi Company reveals future 0 emissions capable taxi! All-new Nissan Qashqai crowned Car Of The Year by What Car?